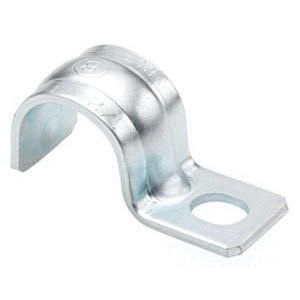 Victor Specialties 1-Hole conduit clamp has steel construction for added durability. This snap on clamp with 1/8-Inch trade size, has a hole size of 9/32-Inch. This clamp measures 0.062-Inch x 9/16-Inch. It is ideal for use with heavy wall rigid conduit.